While there are some problems involving your plumbing that you may be able to handle, an issue with your sewer line is something best left up to the professionals. 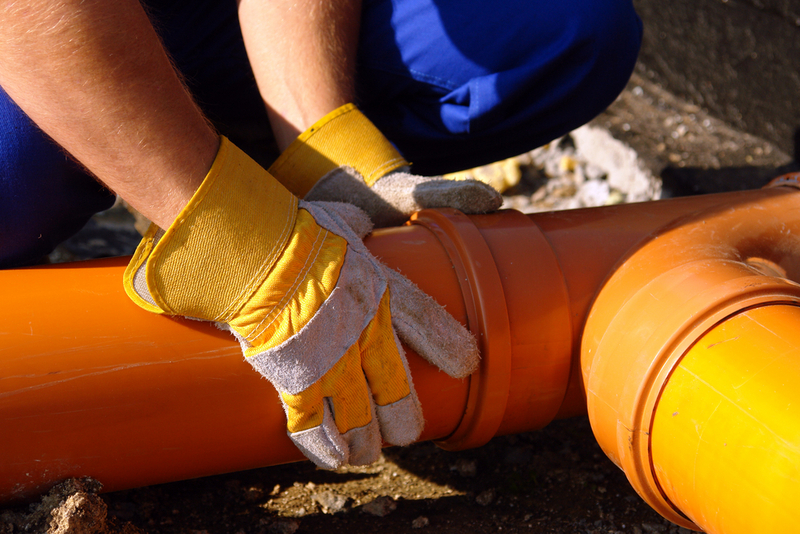 If you find yourself in need of expert sewer pipe repair in Monroe, we are here to help at Schleg Valley Construction. We have all of the manpower, tools, and training necessary to get to the heart of your sewer issue so that we can get a fix in place as soon as possible. Schleg Valley Construction is a full-service septic and sewer company ready to take on whatever concerns you may have regarding your residential or commercial property. When it comes to sewer lines, we have professional, highly-trained technicians who can get to the heart of the manner in a timely fashion to put the right course of action in place. It is important that you are able to get the repair or replacement of your sewer lines tended to as soon as possible. Waiting too long for a fix like this can lead to the potential for costly damage as well as a health hazard for you and your family. Broken Piping – If you have sewer pipe that is punctured, cracked or has collapsed from settling, frozen ground or shifting soil, we can help! Corrosion – When there are pipes that may have deteriorated or broken and there is now water flow restriction or a blocked line, we can help! Sewer Blockage – If there is grease or foreign objects that have built up and are now impeding water flow or sewage line cleaning, we can help! When you need sewer pipe repair in Monroe, it is best that you hire the professionals. Call (425) 312-6750 to talk with us at Schleg Valley Construction.